As online education programs expand globally, the opportunities for education professionals to work remotely grows exponentially. And jobs in online education are not limited to only teaching or tutoring, though there are plenty of opportunities to work with students online. Educators can use their skills to transition to other types of online or remote jobs, such as course development, scoring, and editing, that are in demand for this growing sector. Though the college level is where so many of the online teaching jobs are, there are opportunities for educators from elementary school teachers to college professors in online teaching—for both with full- and part-time jobs. K-12 online education is, in fact, a growing field as more school districts add distance education programs. As more universities get into the business of offering online courses and degree programs, the job market for faculty positions including instructors, adjunct professors, department heads, etc., who work remotely grows. Foreign language instructors can find home-based jobs working for language instruction companies, school districts, online colleges, and tutoring companies. These employers seek education professionals who are fluent in two or more languages to teach foreign languages and English as a second language (ESL). Typical requirements for online teachers include a master’s degree or higher, teaching experience and teaching certification, depending on the grade level and subject matter. Though similar to online teaching, online tutoring differs in that it involves providing help with a subject that the student is being taught elsewhere, and it may not involve assessment. The amount of instruction (anything from extensive teaching to homework help), grade level, subject matter, and job structure (employment or independent contracting) can all vary tremendously. Online tutoring jobs are typically part-time and very often contract positions. Typical requirements include a bachelor’s degree, teaching experience. 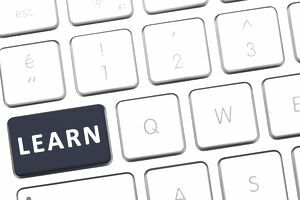 There’s a lot more that goes into online education than simply teaching, but experience in and understanding of teaching is an important skill for those who are creating the online courses. Instructional designers, for instance, use learning principles to develop educational systems and materials. Other jobs in course development might include course developers, subject matter experts, editors, and writers. Because of this, much of the work can be done remotely, making course developer positions a likely fit for telecommuting. Test scoring jobs are another avenue for education professionals to put their experience and education to work (from home). Pearson has a division that scores and develops The College Board’s SAT and some other tests. Jobs here include part-time test scorers, writers, and reviewers in language arts, math, science and social studies. Scorers must have a bachelor's degree or higher, experience teaching high school English, reside and be authorized to work in the U.S. In test development, Pearson hires freelancers to write, do graphic design and review tests. ETS hires educational professionals to do constructed-response scoring. They evaluate written short answers or essays, spoken responses, and portfolios, as part-time employees to read for The College Board's Advanced Placement Program (AP) testing programs and raters for the TOEIC, TOEFL, Praxis and GRE programs.